From left, Jennifer Guzman, Elissa Guzman, 9, Josefina Martinez, 11, and Umbelina Martinez, residents of Buena Vista Mobile Home Park, listen to speakers make their case to the Palo Alto City Council that the park should remain open. Photo by Veronica Weber. In determining how much assistance should be offered to residents of the Buena Vista Mobile Home Park once the park is closed, attorneys and Palo Alto officials spent hours on Tuesday wrestling with the question: How valuable are Palo Alto schools? In theory, it's easy to answer. Everyone agreed that the acclaimed school system is one of Palo Alto's most prized amenities, so valuable that residents are willing to pay a premium and live in substandard conditions just to have their children attend Barron Park Elementary, Terman Middle and Gunn High schools. In practice, things are far more complex. And now, following the City Council's decision Tuesday, it will be up to appraiser David Beccaria to put a monetary value on a Palo Alto education, a factor that would be added to the relocation compensation that the park's residents would receive upon eviction. Beccaria already appraised Buena Vista's overall value as part of the Relocation Impact Report that was submitted by the Jisser family, the El Camino Real property's owner, as part of its closure application. He did not explicitly analyze the value of schools, but said this value is already embedded in the appraisal. Schools are not specifically called out as an amenity that should be considered in relocation assistance in Palo Alto's 2001 ordinance governing mobile-home parks. The ordinance specifies residents be compensated such that they can relocate to a community that offers comparable access to "amenities such as shopping, medical services, recreational facilities and transportation." The omission of schools from the list sparked an argument between attorneys for both sides Tuesday. Attorney Nadia Aziz, who represents the Buena Vista Residents Association, noted that the Palo Alto ordinance is "not the clearest ordinance in the world" but argued that the words "such as" make it clear that the list is not exclusive and that schools should be part of the equation. "If you look at what makes Palo Alto Palo Alto, it's the schools," she said. "When you look for housing, in particular in Palo Alto, they list which schools are closest to the real estate listing. The reason why prices are so high here is because of schools. That's a factor that needs to be in consideration when you look at comparable housing." Councilman Cory Wolbach also seized on the "such as" in the ordinance and argued that the "purpose of including expansive language is to allow for consideration at a future time of items that may not have been included in a specific list." In this reading, schools are fair game. Margaret Nanda, who represents the Jisser family, vehemently disagreed and took issue with the idea that relocation compensation should be increased to reflect the factor of schools. The language of the ordinance does not include schools, Nanda argued, because city officials considered the issue in 2001 and decided not to include it, as the record suggests. She also noted that the record shows that the city reviewed several other closure ordinances, including one from the City of Monrovia, that list schools as a relocation factor. Even so, Palo Alto decided not to include schools. This, Nanda suggested, was a conscious decision. Including schools in the appraisal, she argued, would be tantamount to rewriting the ordinance. She reserved her right to appeal the council's decision, suggesting that the question of schools could resurface as part of a future lawsuit. But a review of the legislative record and interviews with former City Council members who served in 2001 suggests that in fact there was no particular desire to exclude schools from the definition of a "comparable mobile-home park." Nor, for that matter, was there a particular push to include them. In fact, the issue barely came up during the council's discussions in April and May of 2001, when the ordinance was adopted. Though numerous Buena Vista residents spoke at those meetings, schools were not mentioned, and there was no input from the school district, from students or from school advocates. Former Vice Mayor Vic Ojakian, who took part in a committee that worked on the ordinance, said he doesn't remember the school issue coming up at all. "Our discussions were tailored around what was basically in front of us," Ojakian said. "There were certain things under state law, things that the state allowed us to adopt, and we did. "If we couldn't absolutely preserve the living situation, we wanted to make sure we could do as much as we could to create the least amount of harm," he told the Weekly. Former Mayor Judy Kleinberg, who took the lead in studying the issue with then-City Attorney Ariel Colonne, had a similar recollection. The council was focused on preventing displacement of people and preserving affordable housing, as well as on maintaining economic diversity. Kleinberg, who visited the park several times in those days, also noted that at the time there were not too many children living at Buena Vista. "The demographic was middle-age to older. It really wasn't a younger family crowd," Kleinberg said. Colonne did indeed look at various other ordinances but not for the sake of considering the value to the residents of access to schools. The goal was to "figure out a way to postpone or prevent the conversion of these affordable homes. "Ariel was looking at ordinances from other communities to see what might be applicable and usable," she said. So, did the council intend to exclude schools from the list of amenities? "I don't recall this being a specific exclusion," Kleinberg said. Like his two colleagues from 2001, former Mayor Bern Beecham said he doesn't recall "any conversation about schools." "There was a concern about the loss of affordable housing in Palo Alto," Beecham told the Weekly. "To me, it was a balance of principles. We wanted to enable people of all abilities to be in Palo Alto as a social good versus the placement of that burden on a sole property owner." Because schools didn't emerge as a significant issue during the discussion, Beecham said, that likely explains why they are absent from the ordinance. "It's likely because no one at the time raised the issue," Beecham said. Unlike today, when closure and relocation are dominating the discussion, the council's deliberations at the time focused on the issue of how high rents should be allowed to increase. That was the focus of vast majority of comments in 2001, both from the public and from the council. The city had just reached an agreement with the Jisser family to temporarily stave off dramatic rent increases and it was mostly looking at ways to keep rents affordable in the future. As for the council's consideration of the Monrovia ordinance, there is no evidence to suggest that the council ever considered the relocation benefits in that ordinance. Instead, the minutes from the council's April 30 meeting make it clear that the Monrovia ordinance informed the council's deliberation on a threshold that should be applied for appealing rent increases. The Monrovia ordinance, the minutes state, "had a 51 percent threshold," which means more than half of the park's residents would have to petition against the increases. Palo Alto ultimately went with a lower threshold: 25 percent. PAUSD is as good as you make it to be. My point is it is all up to an individual to achieve his/ her fullest potential. There are literally millions of successful kids across this nation that have led productive lives without PAUSD. So my point is that PAUSD should not be weighted heavily in order to extract more money from the Jissers. Can't the families and children of Buena Vista relocate to EPA and then continue their education at PAUSD through the Tinsley program? Is that an option? When one has a lease, the rent gets you present possession of the property for a period of time. The property owner has the future. Here, the owners don't want a mobile home park in the future. It's time to get out. Stop bleating as if the public owes you a place to live, and failing that, extorting compensation for rights you never had. If the positive economic value of the Palo Alto schools is included in the calculation then should not the negative health value of the Palo Alto schools also be included? The #1 reason I remain in Palo Alto is for its schools. I am a native Palo Altan who has watched this town evolve from what seemed like a more socially conscious, community focused demographic of the 1970's to today's ever-growing population of new tech money and convenience driven hyper-culture. The only "amenity" keeping me here is the school system. As a parent of a Jordan Middle School student, I am well aware of the enrichment that PAUSD provides its students and I willingly pay for that by living here. The bottomline is that I want my child to feel safe when he goes to school every day. I want him to be exposed to a variety of learning tools and to the enrichment programs that Palo Alto schools have to offer. This "luxury" should be available to every Palo Alto resident who pays into the community simply by living and paying taxes here. The fact that "schools" weren't specifically factored in to the original ordinance - it appears to me - was simply due to it being an older demographic at the time. The language of "such as" leaves it wide open for factoring in the needs of the changing demographic. More importantly, these families are being evicted from their homes which shouldn't happen in the first place. This is our community. We may not have the power to stop the property owner from favoring capital over human beings, but we can certainly do our best to advocate for their future well-being. There is no question that one of the primary reasons people move to Palo Alto is for its schools. It certainly isn't for the cost of living. I think the biggest value of a Palo Alto education to these children is not necessarily the academic education they receive (which of course is part of the story) but the fact that they go to schools where there is the opportunity of mixing with a large diverse demographic, where there is no fear of gangs, where crime is low enough not to be an issue, where the schools are open during the evenings and weekends so that they can go play basketball, Frisbee, or learn to ride a bike. They can wear whatever colors to school they feel like, they can mix with peers who they would never get to mix with in say the Central Valley, or Oakland, or similar, for the most part. Generally speaking, our schools are great places to feel safe in. The same can't always be said in areas where there are lots of low income residents. There is a strong likelihood that these kids will leave our schools and have learnt the value of education, of getting a good job, and of being upstanding citizens wherever their future lives take them. They are much less likely to join a gang or turn to crime. This, as the commercial used to say, is priceless. Where's the rankings list of schools in the area? For starters, how quantitatively inferior are the Menlo Park/Atherton schools? How far short of PAUSD's epitome are Los Altos, Mountain View, Cupertino? How do these shortfalls translate to dollars? What's the criterion for setting compensation? Is it the putative diminished lifetime earnings for each student? How many million$ is that? Corollary: Is everyone evicted in Palo Alto now entitled to a schools differential payout? Equal protection under the law... .
City council, you have grabbed the tar baby and jumped into the quicksand. I wish it involved just your personal money instead of all of ours. 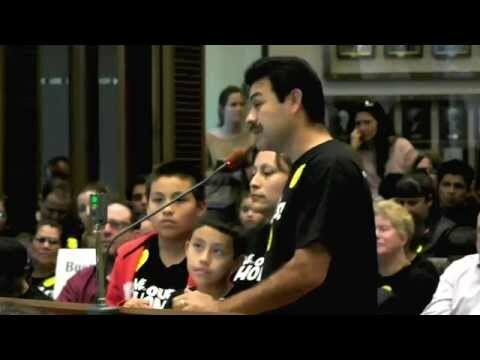 "then should not the negative health value of the Palo Alto schools also be included?" Can you honestly say that the "negative health value" in PA is any different than the average of all of the other high school districts on the Peninsula? Obviously the train incidents get substantial attention but many teenagers (too many) kill themselves everywhere. It is important to try to something about it (save a kid if at all possible), but it would be wrong to claim it is unique to PA. How many kids have killed themselves at MA during the past year, for example? I am pretty sure PA has too many copycat suicides because too many PA people promote the death by train method too much - kids read about it and some follow along. Being native to Palo Alto or being that your ancestors had stepped off Plymouth Rock 200 + years ago is irrelevant here. Using this kind of rationale is just an excuse for not working harder or to look down on folks who came after you. What makes America great is the ability for anyone from anywhere to work hard and to achieve the goals that he/she set out to do. Having said this, Palo Alto, Atherton, Woodside, Nob Hill (SF), Beverly Hills, Malibu etc.. are there for the taking. Just please work for it. A child has a right to a public education through 12th grade. There is no right to a public education at PAUSD unless the child happens to live within the district boundaries or qualifies for some other reason. How is anyone going to determine the value of being displaced from Palo Alto schools? Can we assign a dollar figure to a slightly greater chance of being admitted to an elite college, all else being equal? As a law professor once told me, it matters more what you do after you're out of school than where you went to school. Once again, our City Council is more concerned with ending up on the right side of popular opinion than on whether that popular opinion is right. "Can you honestly say that the "negative health value" in PA is any different than the average of all of the other high school districts on the Peninsula?" I stated nothing about what the amount of the negative value was - just that it should be included in the calculation. Mr Carpenter - I take you to mean that we can't cherry-pick our facts. For example, someone pricing a used car is going to consider more than just make, model, and year. It matters very much if the car was in an accident, totaled, and subsequently salvaged. IMHO, your point about considering both positive and negative is dead on. It certainly sounds like ANY person with a lease in Palo Alto should be able to invoke the "Value of a Palo Alto Education" compensation when their lease is up and not renewed by the landlord...hmm. We paid high rents in Palo Alto for the privilege of a PAUSD education. Before we bought, we moved twice to other leases because the landlords wanted the house back at the end of the lease. Had this ides been in place back then, we may never have had to move...hmm. As for Buena Vista, there are not a lot of school-age children living in the park, which is probably why the notion of compensation for schools didn't come up before. Perhaps it would be best to provide some assistance to the few families affected so that their children can remain in Palo Alto schools? We also did this at great financial sacrifice. No extras for anyone in the family. No hair coloring, no manicures, no expensive purses, no brand name sneakers or clothing, after school jobs for the children, both parents working, no dinners out---you get the picture. We earned too much for any public assistance at all but not enough for any extras. School was the extra. If the tenants deserve to be compensated for no longer being able to attend Palo Alto schools, they should also pay the back rent that they owe over the years since clearly this wasn't factored into the price they paid to live here. Then, once they pay all this back, the money (less a small administrative fee) be returned to them as compensation. Oh, I forgot - since this money was due over a period of time in the past, let's not forget the interest due. @ Me is absolutely right on this. Achievement is high in Palo Alto schools because of individual efforts to be successful students as well as living in an area where many parents are highly educated and foster that environment at home. There are so many "Palo Alto Schools are so Extraordinary" advocates that it is almost laughable. California public schools aren't that great anymore. Young students can succeed anywhere if they put in the work to do so. These kids will wind up in different school districts and if the extraordinary learning experience they've had at Palo Alto is so much better, they will be at or near the top of the class in their new schools. Appraising property is an art, not a science. But assuming that the appraisal used proper methodology by including the fair market value of homes/housing in his study, then the value of the schools are already included into that valuation. Home prices are driven not just by the physical elements of the house or the land. It includes the surrounding area - population, average earnings, school performance and many other amenities which determine the FMV of properties. So if the appraisal report included comparable values of housing and homes from other areas, then the differential values for 'education/schooling' is already factored into the calculation. Believe it or not, there are better schools with better scores in less expensive places to live. Among them are Fremont, Mission San Jose, Pleasanton, San Ramon, Danville, Santa Clara. There are many fine schools in SoCal and especially other state, excepting the South and Alaska. Including the value of Palo Alto schools isn't going to withstand judicial review for a lot of reasons (primarily because a re-interpretation of the ordinance isn't supported by the evidence under review), but let's suppose the City makes this a condition of accepting the closure of the mobile home park. The impact of Palo Alto schools on computing the resident's compensation has two parts: determining the in-place value of a mobile home and finding the value of the appropriate rent differential for residents moving to apartments. An important distinction is that the in-place value applies to all mobile home owners, while the rent differential must only apply to residents with a child currently in or starting PAUSD in the future. Thus, the second part must not apply to residents without children because doing so would "exceed the reasonable costs of relocation" set in the state law. This split is likely a fatal problem. Recall that in January, the park owner's attorney ask the City Council to reject the resident's appeal because the residents filed their objection under the "representative authority" of the Buena Vista Mobile Home Park Residents Association. In fact, none of the residents themselves appealed the hearing officer's decision. The park owner argued that the resident's association wasn't an "aggrieved person" and lacked standing to file an appeal. But, the City Attorney told Council the appeal was acceptable because the action would involve determining "general issues of compensation." Now, at the end of the appeal, Council has decided that compensation should include schools. But, to meet the requirements of the state law, the rent differential compensation is now specific to some residents with children (and presumably multiplied the number of children specific to each mobile home). This, of course, is in direct contradiction to the reasons for Council accepting the appeal in the first place. Thus this action violates the owner's rights. Now you know why courts have rules prohibiting representative authority in these types of compensation cases. I'd be interested in knowing the high school graduation rate of the children that have lived in Buena Vista over the last 10 years. What percentage of the school aged children dropped out? What percentage went on to college? If, somehow, Buena Vista mobile park survives, surely the park will have to be brought up to code, in all ways. That includes the dismantling of all the mobile homes that have illegal structures attached to them. Any new owner of the park would not want the liability of being so out of compliant. It's a difficult problem, but it is not the problem of the current landowner. In fact, the landowner should be thanked for allowing low income families to live on his land for so many years, at a reasonable rate. He's done more for the poor in Palo Alto that our city government. Maybe another landowner, like Chop Keenan, should step forward and allow poor people to live on one of his pieces of land...ha ha...fat chance of that happening! You want facts to back up the idea that children from Buena Vista will be harmed by attending a school that's not part of PAUSD? Sounds pretty radical to me. Also, I'd be interested to know how proponents of extra compensation think it will make any difference. Will the money go for special tutoring for the student or is it more likely to be used for general family expenses? The answer should be obvious, except to our "politically correct" City Council. "Believe it or not, there are better schools with better scores in less expensive places to live. Among them are Fremont, Mission San Jose, Pleasanton, San Ramon, Danville, Santa Clara. There are many fine schools in SoCal and especially other state, excepting the South and Alaska." Heresy!!! Blasphemy!! Make ready the tar and the feathers and the rail! Sorry - I'm not trying to use different identities. Recent "Desert" poster above was me. Oh geez. What's next? Should we also appraise the value of the weather here in Palo Alto? Place some arbitrary figure and "importance" on how our Bay Area microclimates vary from city to city? A school is a school. You get the benefits when you're living in the area. What happened to all the other families paying to rent single family homes in PA who got evited when the owners want to sell since the real estate is hot? They sucked it up and paid more to stay in the area with a different location or they moved. PA Online sure didn't report on any lawsuits from those renters suing for relcation costs in relation to school value! this is your government at "work." Remember when you vote; also please encourage better candidates to run for pulib office as clearly we need better people. I hate to say it, but this is almost laughable. Let this man sell his property and have it developed. These people don't have a right to enslave this man to tenants who don't want to move. No one is entitled to live in Palo Alto or receive a windfall simply because someone is selling his/her property upon which they have resided. The schools? Seriously? I did very well in a very poor school and coming from a very poor family -- as have many people who graduated from colleges and universities. Most of the time, students succeed because they found encouragement from parents rather than a school district. I don't understand how the valuation of the homes in the already-determined "buyout" don't, by definition, take into consideration the schools. When the appraiser looked at the value of the BV homes, Palo Alto's housing market was used. Palo Alto's housing market reflects the school system. There should be no need to effectively double-up on said reimbursement of the school system. In any case, this monetary valuation of PAUSD has gotten entirely out of control. It's absurd. PAUSD is not the end all be all, despite people in this town wanting to keep feeding that label. It's a great system, don't get me wrong. But it is not the nirvana of education that this town thinks it is. Forest for the trees folks. And I'll say it again- Palo Alto is not defined only by the schools. It's just not. There is so so much more that is behind why people move here. Some people maybe just for the schools, sure. But it's a realtor's tale that it's the only reason people are moving here. Thank you, Nayeli, for your always commonsense points. I have a spouse who also came from overseas and was first in the family to graduate from university. Not everyone is from the "Stanford bubble." Researching the data of sales of mobile homes; last time a unit sold on the MLS in Palo Alto was in 2011, and it sold for $28,000; it was 640 square feet, about 47 years old, and rent for the space was $650/month. During that same year, 5 mobile homes sold in Mountain View of similar size; prices were $28,000, $26,000, $22,000, $14,000, $10,000; all were about the same age, but rent was $835/month. Since rent is higher, these homes would sell for less than if located in a lower rental space (like the one in Palo Alto). "If the tenants deserve to be compensated for no longer being able to attend Palo Alto schools, they should also pay the back rent that they owe over the years since clearly this wasn't factored into the price they paid to live here." Let's just stop this now. The residents of BV paid market rates to live in substandard housing, so that they could live in this location with the stability, safety and schools. They are exercising their rights under the law to be fairly compensated in this situation. They never received subsidized rent, they lived in one of the few places in town where you could accept lesser conditions in exchange for lesser cost. One of the council members thought to take the difference between what Palo Alto spends per student per year and subtract that from what the student's new school district spends per student per year multiplied by the remaining number of school years for each school aged child. So, If you have a tenth grader at Gunn with two years left, the child's family would get $2K for 11th grade and $2K for 12th grade for a total of $4K compensation for the cost of their education. Anyone know how many school aged children Buena Vista has? And what grades they are in? Are there any kids in first grade? Let's try a different calculation using the same concept. Suppose a student with two years left in high school has lived in Buena Vista during the ten grades before that. The student moves with his family to Sunnyvale where the school cost differential is $2k/student/year. During the prior ten years, suppose the rent differential between Palo Alto and Sunnyvale for similar space was $100/mo, Palo Alto being more expensive. So to live in Palo Alto for the ten years cost the family $12k extra, but they received $20k in school benefits during the period. Looks to me like they're ahead by $8k. "Figures don't lie, but liars figure." This is crazy math and nobody knows how to put a price to this "amenity." Besides, it's already included. Per the article, Beccaria did not explicitly analyze the value of schools but said this value is already embedded in the appraisal. I can answer this one for you. The value of a Gunn High education is exactly the same as the value of an education from any other high school in California. Time to move on. Using the last known sale in 2011, a buyer paid no premium to be in Palo Alto versus Mountain View - the schools didn't matter for people looking at Mobile Homes. Since the rent in the Buena Vista is less expensive than the rent in Mountain View, a buyer should be willing to pay more for a Mobile Home in Palo Alto. For other types of housing (single family houses, condos, etc) it may, but not for Mobile Homes. Re: the council member's "valuation" idea of $2K per student cost differentiation per student per year.. that reasoning is ridiculous. Especially if it's multiplied by the number of years each student has until they complete high school. Who is to say the child would have stayed here for that long? Truly this has gotten out of hand. Have chosen to live where I live, but I have to say- only in Palo Alto. All P.A. homeowners benefit mightily from the value our schools impart - and 60% of households here are home owners. As a Real Estate agent said at the hearing, the first thing listed on ads for homes is the schools, by name, that buyers children would attend. A P.A. education is very valuable - if it wasn't we would not have the highest land values in CA. Mobile home park residents and landowners in California have a particular set of laws that apply to them because of the hybrid nature of mobile home park residency - most are home owners but none are landowners. That is very different than a renter of an apartment, etc. The mobile home owner has property rights. Hispanic kids in our schools, stay in school. All the data is known about this and was presented during the hearing. Palo Alto is far above surrounding school districts in keeping students in school through graduation, in them being algebra and college ready upon graduation. The kids that grew up in BV are very often going on to college and getting 4 year degrees - several spoke at the hearing, including one who is a Jr.at Stanford. The benefit is works 2 ways - Buena Vista kids benefit from a safe community and excellent schools, and we benefit from their being here and in our schools because economic and ethnic diversity enriches a community and grounds it in a broader reality - for us, outside the bubble of extreme affluence. I hope Buena Vista is here with us for another 90 years (yes - it is that old and been here longer than almost anyone else in town. @Paula- is Palo Alto really far above other school districts in our area in keeping kids in HS, etc? I'm not saying you're wrong, I'm just surprised and would be interested in seeing these statistics. Especially considering Mt Vw, Cupertino, Menlo Park, etc. I also know that schools are listed in almost any real estate listing that I've seen in other surrounding cities. So I don't think that just because it's listed in PA listings means much. You bring up great points about the value of diversity to the entire community, the value of a good safe education for the BV residents, etc. But, (aside from the legal issue of Jisser's personal property rights), my issue is that PAUSD is not the only district around here that provides this. There are indeed "similar communities". "for us, outside the bubble of extreme affluence" .... Either you are spreading a fallacy here or just trying to provoke a reaction. Having in excess of $100 millions in the bank is extreme affluent. Being in a leadership position at a local VC firm with an annual compensation of $50 mil + is extreme affluent. This leaves the remaining 99.9% of Palo Altans who are just regular Joes with occupations like doctors, lawyers, professors, engineers or business owners. This group myself included is hardly considered to be extreme affluent. We made enough to live here but certainly not rich enough to pledge $16 millions for this cause. Can you see why politicians can just pledge 8 millions here and another 8 millions there without missing a beat? Well let me give you a hint....it's probably not coming out of their personal retirement accounts. If one takes the time to examine the API scores for the elementary schools in Palo Alto, and compares these scores to the Los Altos school district--you'll see that Los Altos scores are slightly higher than PAUSD scores. It's hard to trust anything that real estate agents say--since they have no obligation to tell the truth. Moreover, it's really difficult to believe that any of them would actually have the slightest idea how the APIs are calculated, or how much student performance is related to parental care and nuturing of their children. This whole exercise is headed to court. Sadly, the taxpayers' money is going to be wasted on this craziness, big time. If the town had any backbone, the Recall petitions would already be circulating. I'm not a lawyer. But I don't think this "such as" magic clawback stands a chance in court. Palo Alto has always been distinguished by its schools. It is the well-known, #1 amenity of Palo Alto. 2001 is not that a long time ago. Omitting Palo Alto school in "such as" is like omitting Golden Gate from a brochure of San Francisco. It must have been a conscientious decision. It is not credible that somehow city council accidentally forget school in "such as". The political sneakiness and revisionist attitude by former council members, as reported here, is disgusting. Nevertheless, a law is expected to be written in completeness. The interpretation of the ordinance is clearly on the side of Jisser family. There is no way that city can not require school being part of the compensation. Such a request will set the city up for lawsuits by both sides. And I really hope city council stop being too friendly to BV. Watch out! They may be secretly collecting evidences so they can sue the city. Correction. Should be "There is no way that city can now require..."
@Joanne: EPA students are accepted in kindergarten only. If they leave PAUSD, they are not replaced by another EPA student. 1. Students can enter the Tinsley program in K, 1st or 2nd grade. 2. It's a lottery. Not everyone who wants to transfer out, gets to. 3. Only minorities are eligible. To transfer out of Ravenswood, that is. Whites/caucasians are more welcome to transfer in. 4. Since it's based on minority status only, affluent "minorities" can buy the newer homes in EPA and use TInsley to send their children to Palo Alto. I've met quite a few families following that strategy. This debate on the value of education makes it sound like we are treating the schools like we treat their trailers (something they OWN that is being taken away from them) vs. treating schools like we treat shopping and medical facilities (something they have access to because of the location of the property they own). If schools were included in the ordinance, which they weren’t, they would be on a list with shopping, medical, and recreational facilities. But no one is trying to come up with a specific dollar amount for these things. What’s the dollar value of living near Stanford Shopping Center versus living near the Great Mall? $3,000 per trailer? $4,000 because Stanford has a Brookstone? Do we need to financially compensate them for not having access to Foothills Park? They never owned the schools and therefore don’t need to be directly financially compensated for them like they do need to be for their personal property. They simply have access to these schools while they live there, and they will surely have access to other fine public schools when they live somewhere else. It turns out Palo Alto isn't the only city on the Peninsula that knows how to educate children. The CC was able to create an good tactic for delaying the park closure by adding schools/safety to the list of benefits. This discussion demonstrates just how this factor could be the reason for endless delays to keep the trailer/RV park open while trying to sort this out. It seems that the residents of BV are resigned to the understanding that they will be moving. However, someone seems to have convinced them that this can be a windfall for them. It is preposterous to think that they should benefit financially from simply having had their children enrolled in the schools in Palo Alto. I can't help but visualize this whole ordeal with protesters who simply want more and lawyers and supporters who will try and squeeze more financial gain for them. I sympathize with them, but they well be leaving no matter what. There is other affordable housing available for them. If the city is so concerned, then why not convert sections of one of our city parks to house mobile homes? We can use the park closest to the homes of BV supporters. Oh. That would never happen. It is all about selective diversity, isn't it? Having grown up south of the border, this circus reminds me of my experience as a landlord down there. The rule of law and contracts mean nothing because tenants just ignore whatever they signed when the lease is over, and then get a bunch of politicians involved by claiming economic, family, health hardships to stay. The 'smart' politicians then figure out it's ok to screw a single landlord in exchange for some political goodwill they can use in the next election. I certainly hope we have a strong judicial system that would prevent this type of third-world politics because the moment we stop respecting the rule of law and contractual obligations, we'll be getting closer to the types of societies many of us left behind for a brighter future in this country. It's interesting how many people like the benefits of living in a rule-abiding society as if they are God-given entitlements, but aren't willing to pay the price, such us playing by the rules themselves and living within their means without expecting the landlord or the community to subsidize them. It's a two-way street. Also noticed some hard-core supporters of BV asking others to step up and offer leadership and $ (especially public funds) for their pet project, but they themselves aren't opening their wallets or homes to the BV residents. I personally know some of them, and won't bother commenting on what I think of them. We took our kids out of BP years ago when we realized that a PAUSD education isn't as great as everyone seems to believe. Too bad we couldn't get our relocation costs paid like the BV residents, but we are happy to be out of PA.
Last year our lease was cancelled and we were forced out of our home in Los Altos by a landlord who wanted to radically raise the rent and did not want the inconvenience of haggling with current tenants. We had to leave the home where our two daughters grew up and scramble to find a school for them to attend, as it was May and they were already registered to attend Los Altos schools in the fall. After frantic searching we finally found a place in Mountain View and were able to get our kids into the final two slots at their neighborhood school. A year later we couldn't be happier. Although we live in a "less desirable neighborhood," the people we live around are far warmer and welcoming than those we encountered in Los Altos. Although our kids attend a "lower rated school" they are thriving and we have found the teaching far superior to what they received in Los Altos. To the Buena Vista residents, I know this is a frustrating and at times scary ordeal, but take heart, there are many safe communities nearby where your kids can receive a great education. My kids attend school that includes a trailer park within its boundaries and I'm sure if your children came to their school they would feel welcomed and valued, rather than a burden or a cultural novelty. To the outside "advocates" of the Buena Vista residents, quit treating these folks like Yazidi refugees being forced into ISIS controlled Iraq. There are many places where these kids can thrive outside Palo Alto and making the world outside Buena Vista sound threatening might be a good arguing point with the City Council but it will only make things all the more traumatic for these kids once they make that inevitable move. I know you are just trying to make sure these folks get a fair shake in the short term, but treating the children of Buena Vista as victims for having to leave Palo Alto schools will likely do more harm than good in the long run. I find it interesting that the last several (or maybe ~10) posts are very specific in their points, authored by unfamiliar handles, and all together lay out a complete story that argues against the BV residents and paints a picture of happiness for their future outside of Palo Alto. I strongly suspect these posts are coordinated by the Jisser defense in order to sway public opinion against the BV residents. So my challenge is to the last 10 or so posters arguing against the BV residents. e.g. and claiming BV residents will be just fine when they leave Palo Alto. There is no reason to hide your identities as you speak of happiness and success, so please tell us who you are. Your stories defy common knowledge so it is important for you to establish credibility. If you are not willing to identify yourselves alongside your posts that have no fear of retaliation, then I would suggest these posts are manufactured by the Jisser side of this argument. And before you try to tell me I must identify myself, please note that I am not trying to pass myself off as anything other than a Palo Alto resident. I am not providing "testimony" about the BV residents potential future or options. Does a Comparable Mobilehome Park Require Similar Access to Schools? Maybe. Just because educational facilities is not listed as one of the examples of community amenities, it doesn't necessarily mean that it isn't included. However, let's read the ordinance closely. "'Comparable mobilehome park' means a mobilehome park that is similar in condition, age, size and amenities to the park that is being closed and is located within a community similar to that in which the park that is being closed is located and has similar access to community amenities such as shopping, medical services, recreational facilities and transportation." Let's look at medical services, which is listed, as an example. There is a big difference between similar access to medical services and access to similar quality of medical services. Stanford Hospital is 4 miles away from Buena Vista. In a comparable mobilehome park, that should mean that a hospital is nearby. I don't believe that the ordinance requires that the hospital in the new community be on par with Stanford Hospital. So, a rural community located 100 miles away from a hospital is not a comparable community. However, one that has a full-service, nearby hospital may be a comparable community. Now, if we look at similar access to educational facilities, the ordinance may require neighborhood schools. Bussing children to a school an hour away is not similiar access. If a local school is one mile away, that's similar access to education facilities. Similar Access or Similar Education? What if the City Council said similar access to educational facilities is not enough. We need access to similar education facilities. Not a problem. You return to the list of comparable mobilehome parks and cross off the ones in poor performing school districts. There must be at least one mobilehome park in a respectable school district. The mitigation measures presume that a comparable mobilehome park exists. There's no contingency provision if no comparable mobilehome parks can be found. So, on to the mitigation measures. These measures are entirely focused on the costs of relocation and include moving costs for the mobilehome and personal property, lodging costs, first and last months rent, and security deposits. Certain residents who are low-income or disabled may receive additional assistance. If the mobilehome cannot be moved, additional compensation is available. At best for the Buena Vista residents, a PAUSD education is weighed when considering whether a new mobilehome park is comparable. If the comparable mobilehome park in a high performing school district charges higher rent than Buena Vista, there will be rental assistance available for low-income residents, but only for one year. I don't see any provision for compensation if the new school district only has an 800+ API instead of a 900+ one, so long as the city, hearing officer or some other officer determines that these educational facilities are similar enough. Dear "I Smell a Rat,"
I am not "arguing against BV residents" just against the smug notion that the future of these kids hinges on their ability to attend PAUSD schools. You have every right to doubt anecdotal evidence on an anonymous message board. But I invite you to do a little research before assuming that Palo Alto will service the needs of BV kids better than other local school districts. Please compare Barron Park Elementary in Palo Alto to the school my children attend, Bubb Elementary in Mountain View. They have roughly the same Hispanic population (~30%) yet Bubb is rated a 9 out of 10 and Barron Park 7 out of 10 based on their API at www.greatschools.org. It appears to me that Palo Alto isn't doing a fabulous job educating elementary school kids unless they come from hyper-competitive white or Asian families. As a parent of children growing up in Silicon Valley, I only came to this website out of concern over the recent suicides, trying to determine whether this issue was specific to Palo Alto or would become a more regional problem. As a proud Mountain View resident, I only felt compelled to write about this story in response to the smugly delusional notion that staying in Palo Alto was the only way these kids have a chance to thrive. I wanted to reassure the Buena Vista families that there are schools right down the road with trailer parks in their boundaries that would welcome their kids and give them just as good if not better education than what they are receiving from PAUSD. Please elaborate on how you think this amounts to "arguing against BV residents." I do not think Palo Alto is the only place these kids can get a good education, and Bubb is a great school. But I challenge the assertion that Mountain View is affordable for these people, and the statement that there are affordable homes for all of these people. If there are "trailer parks" right down the road in Mountain View, where are they and do they have room, or lots of empty homes for $30-$60K? For $200K, yes there are options. But these folks can't afford $200K. Even in Sunnyvale there is ONE mobile home for $39K. So realistically, where can we find 140 affordable homes for these people? The transition to apartments with one year of supplemented rent is a non-starter because what do they do after a year? Ultimately, I challenge anyone to find enough affordable housing in a good school district, ANY good school district, within 35 miles of BV. To "I Smell a Rat"
I don't see in these postings any coordinated effort to sway public opinion. That kind of tactic is pretty easy to spot - just check out the "Washington Post" comments on controversial articles about Putin or Russia. The Kremlin's paid trolls are endemic and obvious. Regardless of public opinion, which appears to influence our City Council more than it should, the issue on the table right now is very simple. Council has directed the appraiser (Beccaria) to "revise the scope of community amenities to include things such as ... schools." However, Beccaria earlier told Council that although he did not explicitly analyze the value of schools, this value was already embedded in the appraisal. So Beccaria can break out the value of schools as a separate line item in his new appraisal, per Council direction, but then he must subtract that value from the element in which it is presently represented. If not, then the value will be included twice in the bottom line. Buena Vista advocates would have us believe that the value of schools was overlooked - it was not. It will be interesting to see how Council deals with this "hot potato" of their own making. Desert Jack's comment about the Washington Post is interesting. I was once interviewed by a Washington Post columnist who changed my quote into something I didn't say and didn't mean to better fit her story. The San Mateo County Office of Education administers the Tinsley application process. Once students have been assigned to PAUSD, the VTP staff works closely with parents. We offer workshops which provide parents with the tools they need to ensure the academic goals they have for their children are met. All Voluntary Transfer Program Parents are encouraged to be actively invloved at the school site level in either the Parent Teacher Association (PTA) or The Parent Network for Students of Color (PNSC). Both Carlos and George Drysdale have been posting on PAO for many years now. "...following the City Council's decision Tuesday, it will be up to appraiser David Beccaria to put a monetary value on a Palo Alto education, a factor that would be added to the relocation compensation that the park's residents would receive upon eviction." "Beccaria already appraised Buena Vista's overall value as part of the Relocation Impact Report that was submitted by the Jisser family, the El Camino Real property's owner, as part of its closure application. He did not explicitly analyze the value of schools, but said this value is already embedded in the appraisal." "...the council found a way to help the residents financially, primarily by mandating that critical final appraisals of each unit reflect the value of being able to send children to Palo Alto schools." "...the council did the right thing to require consideration of the value of access to local schools when appraising their units." 1) Beccaria is the expert and said that the value of schools is already embedded in the appraisal. But on Tuesday, Council told Beccaria to separately quantify this value, leading all to believe that the number he comes up with is to be added to the current proposed relocation compensation. 2) Council "found a way to help the residents financially," but Council has a duty to be impartial. Council is supposed to determine the adequacy of the relocation compensation, not look for ways to help one side. 3) The Palo Alto Weekly editorial board writes that Council did the right thing to require the value of schools be part of the appraisal, but the board certainly knows that Beccaria said that the value of schools is already embedded.